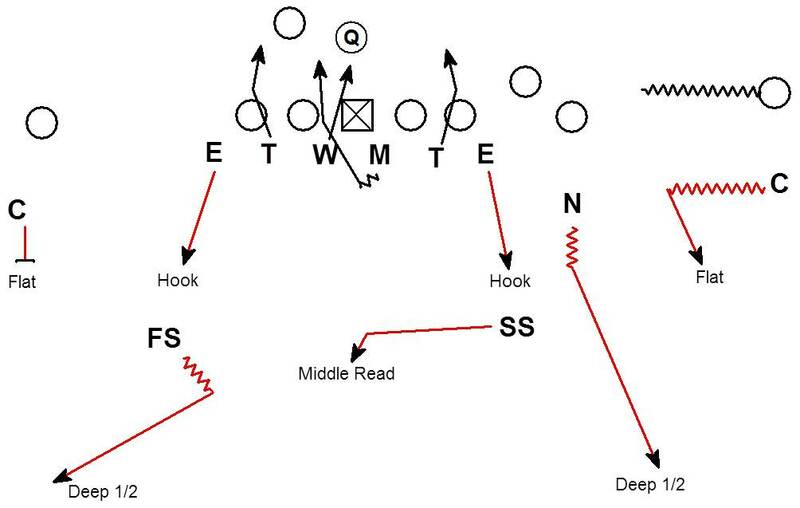 Here is a concept used by Coach Schiano during his time with the Buccaneers. The pressure is a non-traditional 4 man pass rush. The coverage is a variation of Tampa 2. Traditional Tampa 2 uses the Corners in the Flat with 2 Hook droppers. The Mike LB is running deep to the Middle Read to help cover routes attempting to split the deep 1/2 safeties. 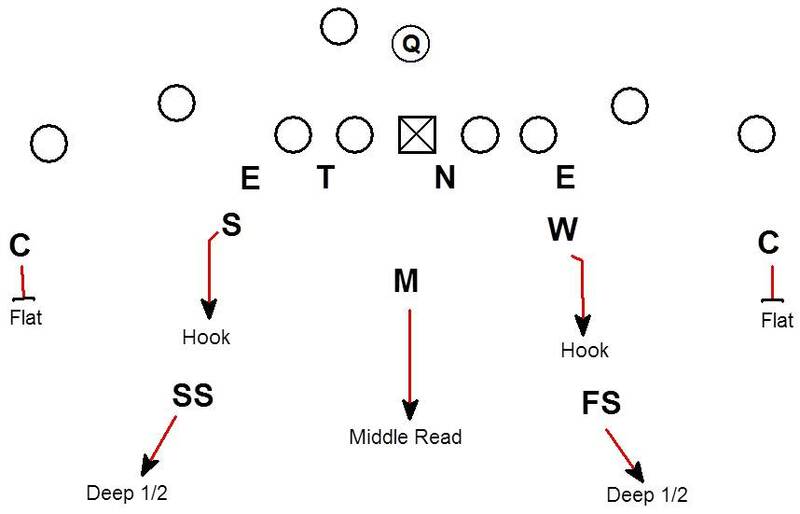 The Buccaneers use a Nickel personnel to play a version of Tampa 2 coverage. Mike & Will - Aligned in A gaps reading the turn of the Center. When the Center blocks away the LB goes. When the Center blocks toward the LB drops off and spies/rushes. 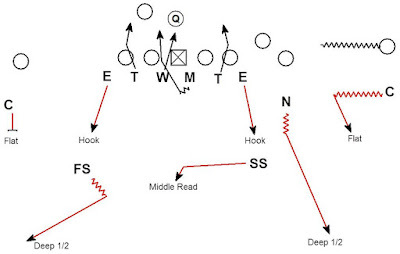 The spy/rush technique helps the defense control the middle check down route to the RB which is a stress area of Tampa 2 coverage. The spy can also help take away RB screen and QB scramble. If the RB blocks the LB can add to the pressure to create a 4 man rush. The pass rush does a good job of attacking the RB in protection. 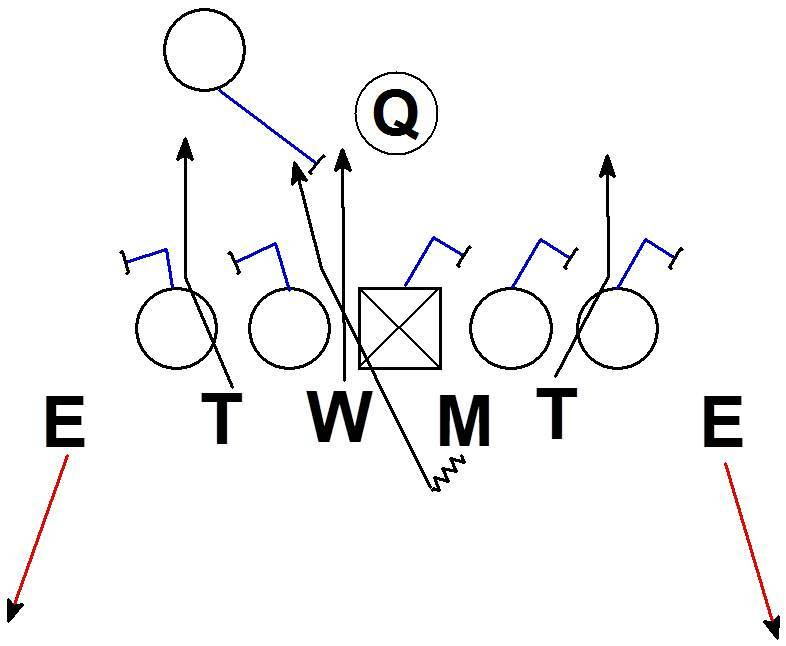 By showing the double A gap pressure the defense forces the RB to block an A gap LB on a clean run through. No matter who the Center blocks the other LB is attacking the back. Here the Center blocked to the Mike resulting in the Will getting to run through. The Mike then executes the spy/rush technique. 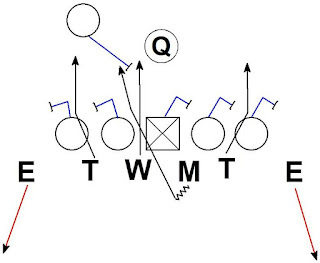 Once the RB blocks the Mike adds to the pass rush to create a 2 on 1 vs. the RB. 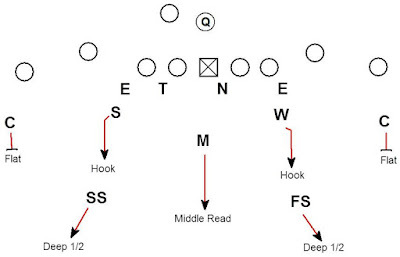 This is very similar to the overload situations created in Coach Schiano's Green Dog schemes.